The Honda Africa Twin placed his footmarks very quickly last months. Not only received very well in the magazines, but also appreciated very much by the motorcyclists. 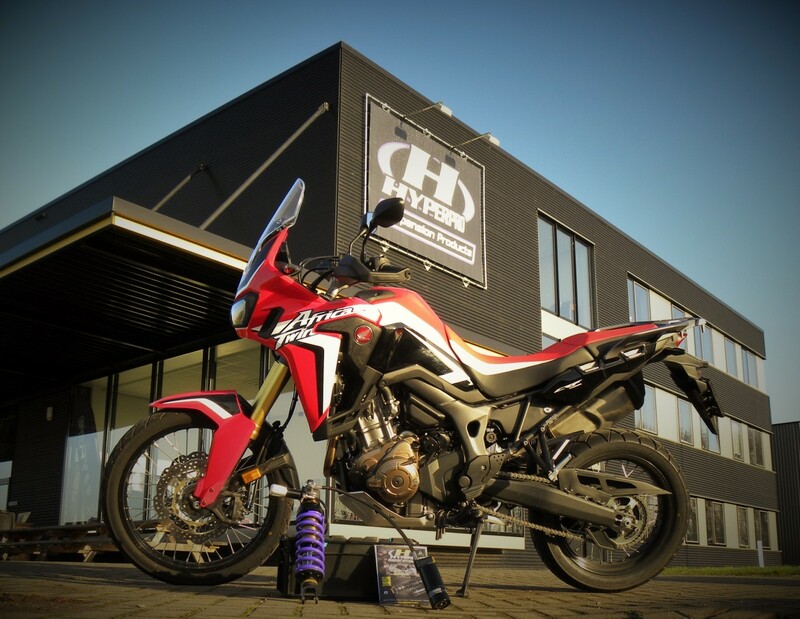 As a real Adventure bike, it has all capacities to enjoy the Africa Twin owner. 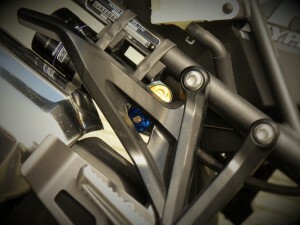 Hyperpro developed a full suspension range for this bike. 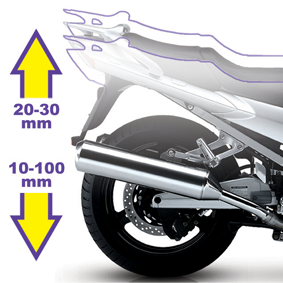 The suspension specialists from the Netherlands designed a rising rate springs fitting on the OEM shock, which rise the bike with 2 cm’s. Doing this we managed to configurate a better handling, more stable ride and using the range of capacity in the bike to adjust it to the correct suspension setting. 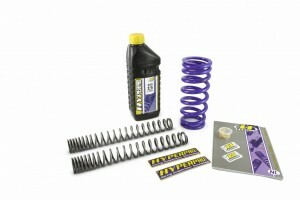 Of course Hyperpro used their knowledge to also offer a lowering option by changing the springset to a seat lowering of 35mm. 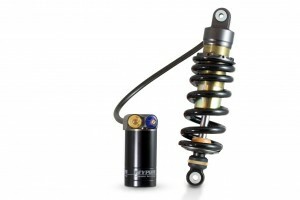 To even upgrade the bike more, Hyperpro is offering a full adjustable type 461 shock, a type 460 emulsion shock and for the commuters and occasionally riders a Hyperpro Streetbox, containing a front fork springset, front fork oil and a type 460 emulsion shock.